My mom and I took a spontaneous trip to St Kitts and Nevis. The country is made up of two islands. 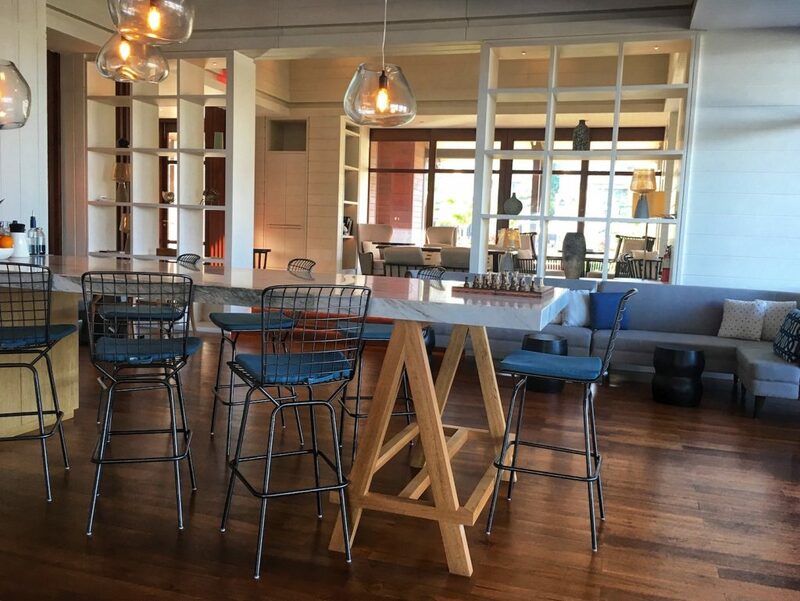 We chose to stay at the Park Hyatt, located on the St Kitts island of the country. 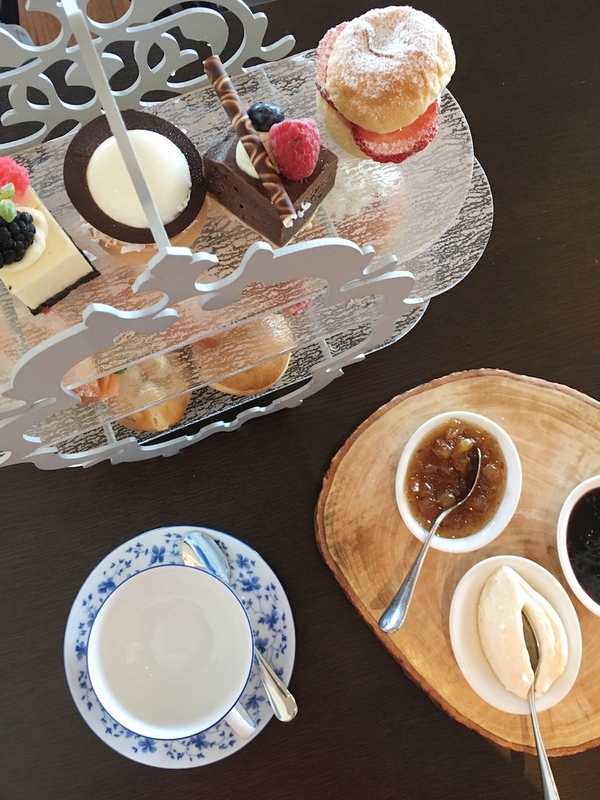 As my first Park Hyatt hotel for afternoon tea, I didn’t really have any expectations especially since my last afternoon tea in the Caribbean was just ok. 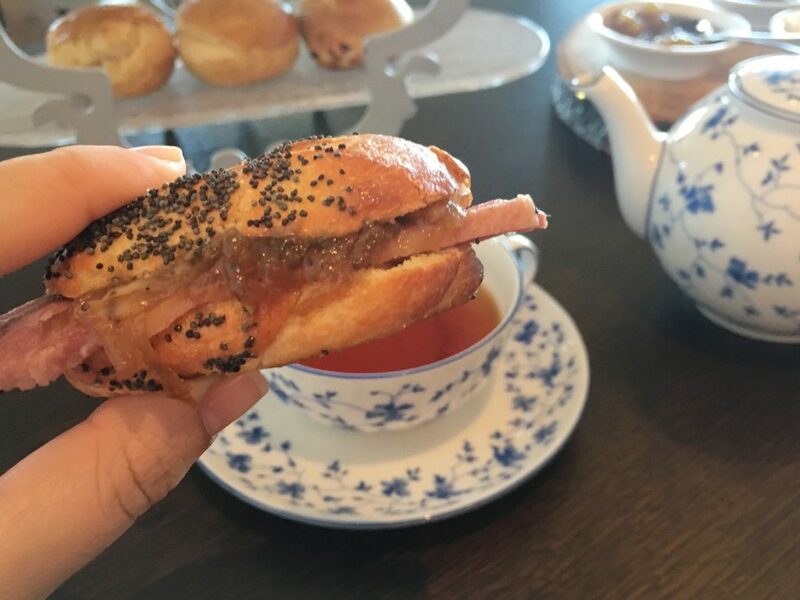 I didn’t even know the Park Hyatt served afternoon tea until I got to my room and looked at the little booklet with all the information necessary for my stay, but I ended up being pleasantly surprised. 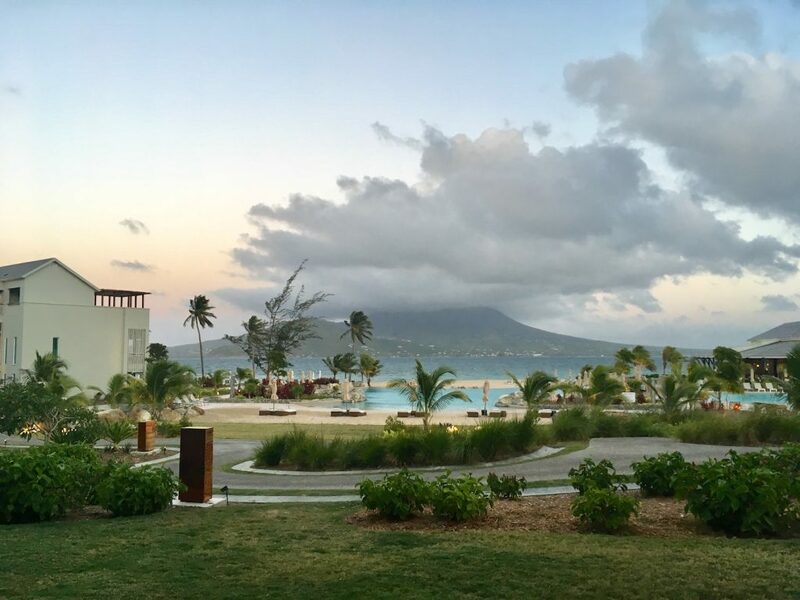 The Park Hyatt St Kitts is located about a 20 minute car ride from the Robert L. Bradshaw International Airport. It’s right at the southern tip of St Kitts island, where the entire property faces the other island that makes up the country of St Kitts and Nevis, Nevis. 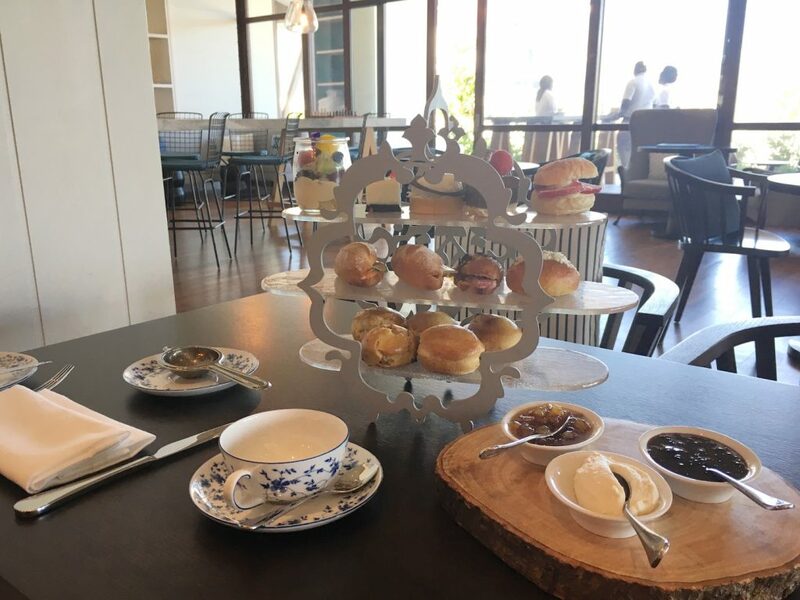 Afternoon tea is served at The Great House, one of three dining options at Park Hyatt St Kitts and also the same place that breakfast is served. There are seats outside and inside. Even from inside, you can see a view of the ocean. 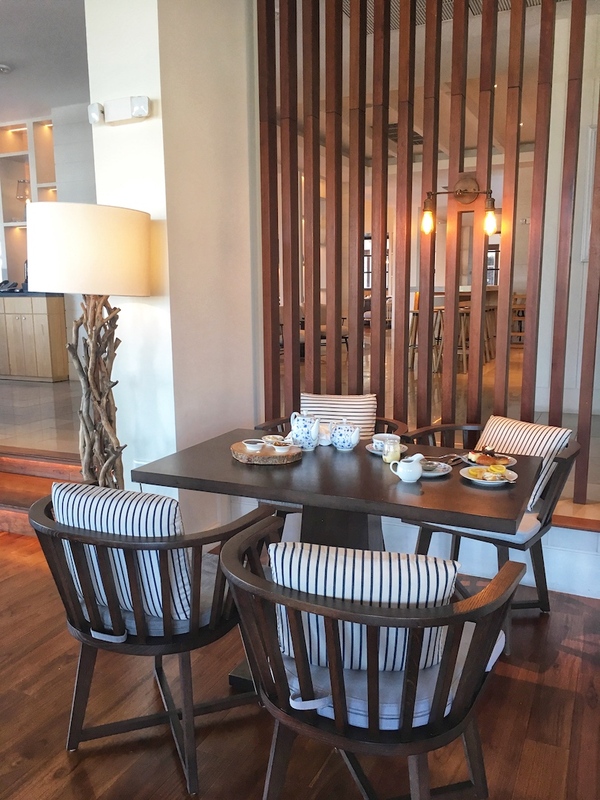 Park Hyatt St Kitts serves tea from Rare Tea Co. 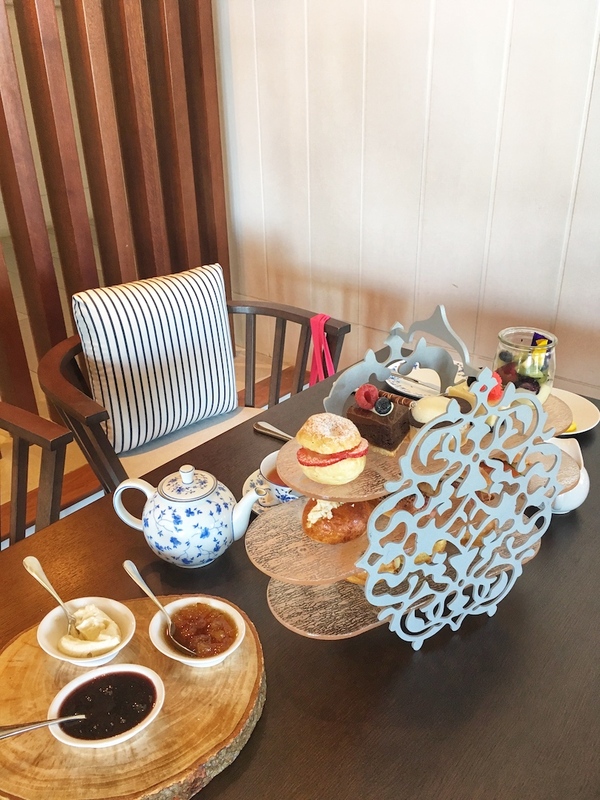 The options included the typical teas that are available for afternoon tea included black teas – English breakfast, earl grey (which is what I had), oolong, green, white, herbal and a Kittitian bush tea. 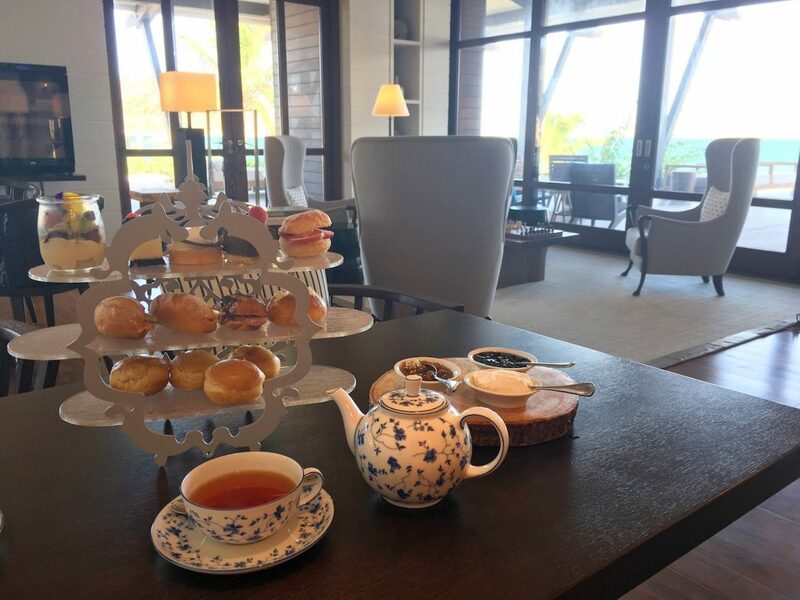 Because St Kitts and Nevis is a Commonwealth realm (has relations with Britain), their afternoon tea package is an English Inspired Afternoon Tea. 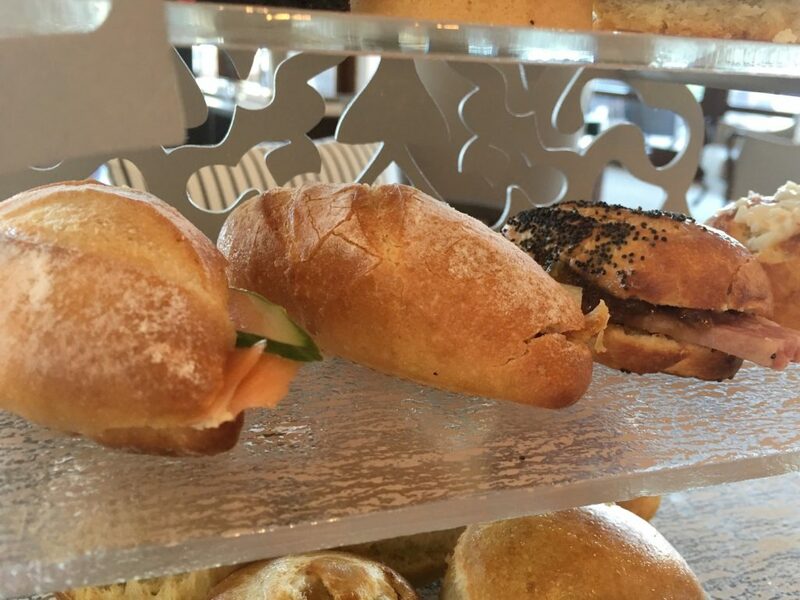 Savories included small sandwiches including egg, caper, mayonnaise and cress, ham and cheddar, smoked salmon, cucumber and dill, and a roasted beef and caramelized onion. 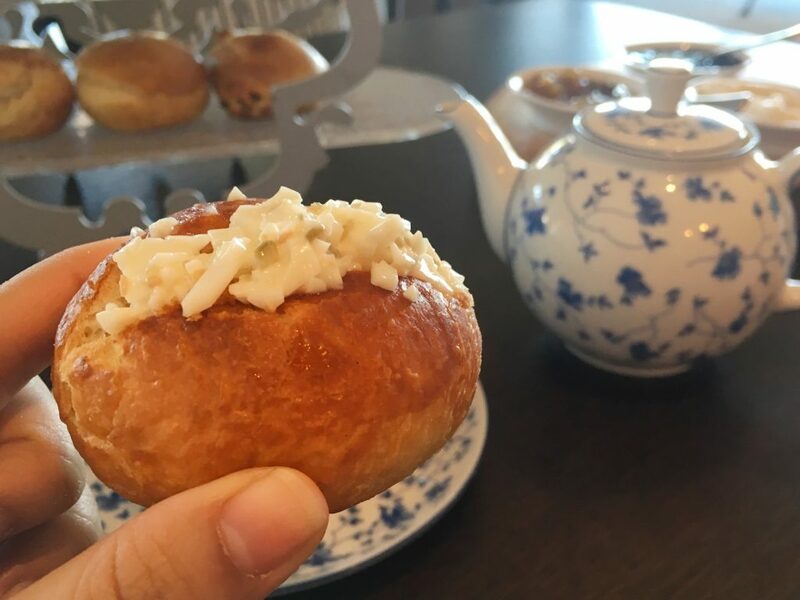 Each of the savories weren’t in traditional white or multigrain bread, but in little buns. My favorite was the roasted beef and caramelized onion savory. There were a ton of scones! I wonder if it’s because they thought my mom was going to have afternoon tea too, but I ended up with five! Two were plain and three were raisin that came with clotted cream, a mango chutney and berry jam. 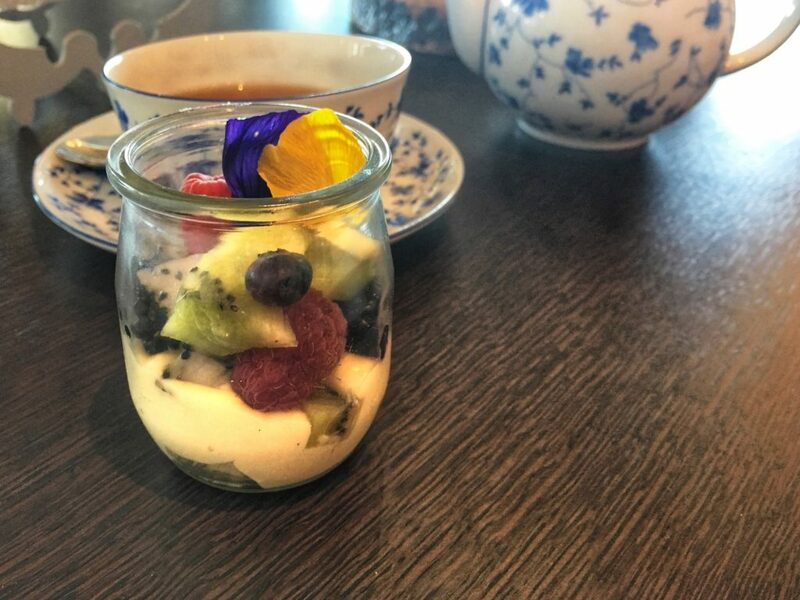 On the sweet menu was a classic fruit trifle, Manchester tart, ‘Sally Lun’ bun split and strawberry gel, summer berry sponge cake, chocolate bakewell slice and a cheesecake. Having no expectations at all, I was impressed. 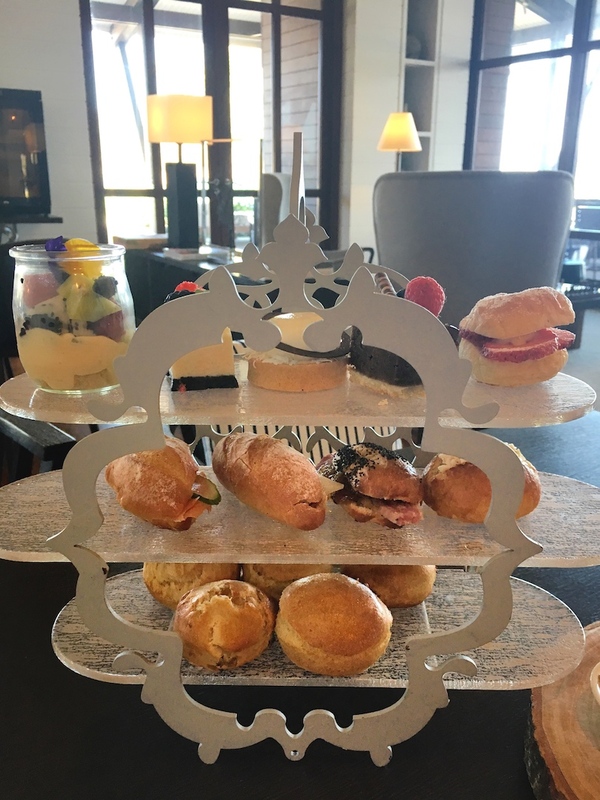 I loved the non traditional three tiered afternoon tea tray with glass holders and a fun design. 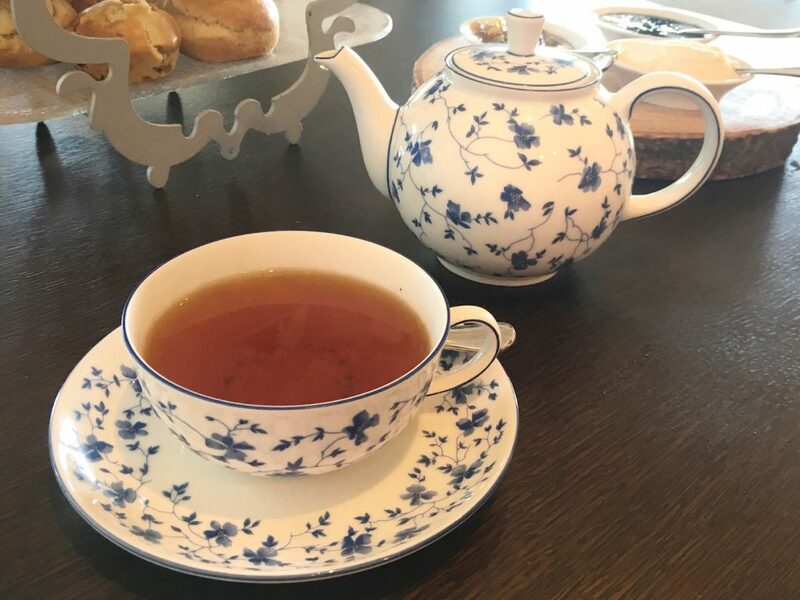 The tea cup, pot and plates had a beautiful blue and white flower design made in Germany. I was told people have asked if they could buy the tableware from the hotel. Staff were friendly. I was the only one having afternoon tea at 4 pm in a weekday and my mom was sitting with me. So occasionally we’d have someone check in on us and we’d have a conversation to learn more about the country. There is WiFi throughout the hotel. As a guest of the hotel, there was a last name/room number requirement to access. 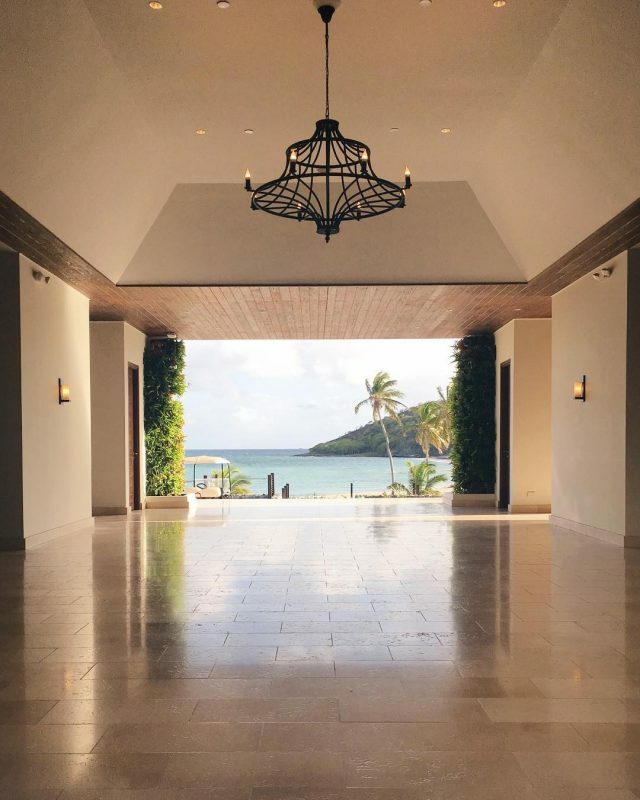 Park Hyatt St Kitts is active on Instagram, Facebook and Twitter. Like I said, I didn’t have expectations for tea in the Caribbean. It could be because of my experience once in Barbados and I wasn’t impressed. 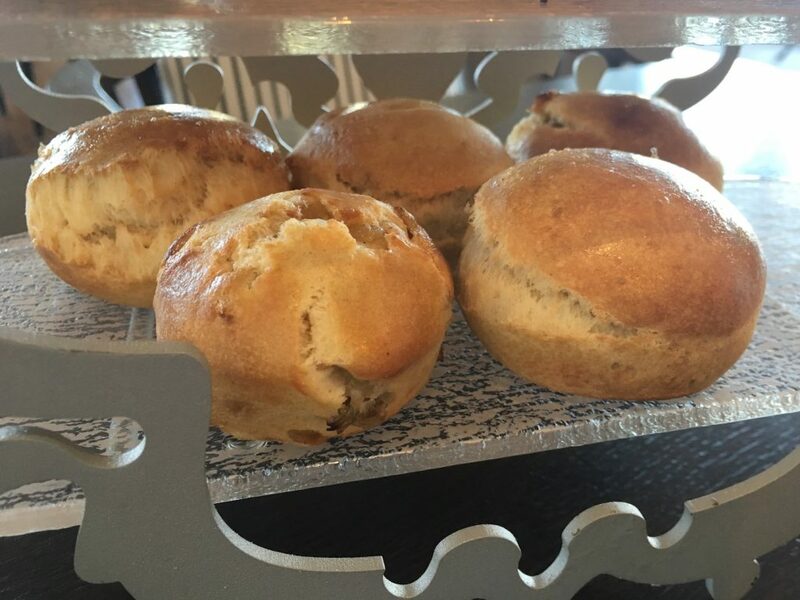 But when I saw that the afternoon tea at Park Hyatt St Kitts was $49 per person, I knew it had to be somewhat good. And it exceeded that ‘somewhat good’ to be a very enjoyable afternoon tea in the Caribbean.